This album was recorded in Manchester with “Chameleons Vox” and former “I am Kloot” guitarist Yves Altana producing it. It features Peter Hook (Joy Division & New Order) on bass and Julie Gordon (Happy Mondays) on backing vocals. 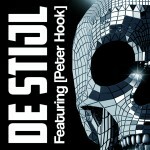 On this album, DeStijl is moving towards a dark dance-rock, with songs previously honed on stage. « Knock on wood » is one of the two alternative versions of « The white stripes ». Ten songs re-arranged and re-interpreted with acoustic instruments. Guitars, cellos, violons and percussions strip the song up to a new mood, as Fred Vernay renew the vocal lines with an intimate approach which brings the songs in a floating and melancholic dimension. 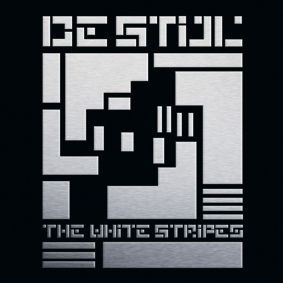 This is one of the alternate version to Destijl’s third album “the white stripes” ; 13 tracks electro revisited browsing between LCD Soundsystem, Prodigy or even Primal scream. The arrangements are very different from the original rock version, but it works too, betting was worth tempting it. In 2009, burning with inspiration, P. DeStijl expanded the DeStijl sound by engaging Fred Vernay and Patrice Robert on vocals and guitar respectively, Chris Castejon on bass and Laurent Guillot on drums. An english friend, Cameron Taylor, wrote the lyrics for half of the tracks. 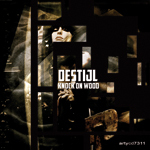 Bursting with 21st century dystopia, radiating dark melodies and thundering with new blood, DeStijl propose their 3rd album. 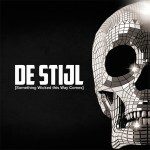 It’s particularly strong on atmospherics, with each of the 10 tracks drawing us deeper into DeStijl’s gritty, dark themes, and alternative, melodic dance. This album features norwegian singer Agnete Thuland as lead vocalist (who later produced international shows for television such as Lilyhammer) and is in an experimental approach, as the band developped their songs with time-signatures like 5/4, 10/8 or 6/8. On this album, DeStijl used sound samples from the best albums of the 90’s as an hommage and a reaction of 2000’s records that used lot of samples issued from 70’s funk and soul albums. So, they selected Björk, Portishead, Stereolab, Morcheeba, Tricky, Hoover, Archive… but also Pulp, Radiohead, Smashing Pumpkins, Electronic, New Order, Placebo, Black Grape in a more indie-rock mood or FatboySlim, Propellerheads, 808 State, Aphex Twin or Depeche Mode as « representants » of the electronic scene. 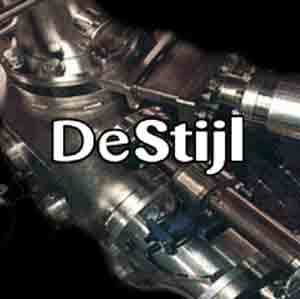 After their first LP, DeStijl bought new machines and try to experiment new sounds. On this EP, The band also have 4 different approaches of music and hires Delphine Gorriz-Ballester as lead vocalist on two of the four tracks. 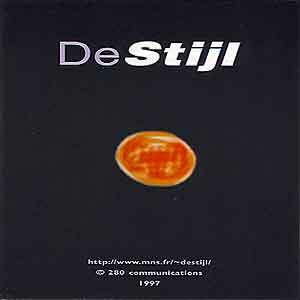 DeStijl was created by P. DeStijl & John Cleary in 1995 in Montpellier, south of France. They recorded 16 songs in 1996 and picked-up 12 to release their eponymous-titled first album. This self-produced LP was acclaimed by the critics and was named « record of the month » by the french critics magazine Magic !